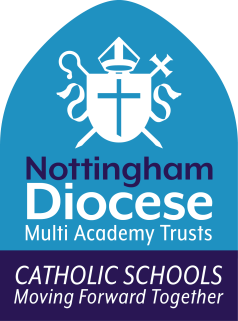 Welcome to The Nottingham Catholic Teaching School Alliance. We are really proud of the work that has been done so far within the Alliance and want to take this opportunity to share with you some of the high quality experiences our staff and students have had during the last year. The Nottingham Catholic Teaching School Alliance (NCTSA) is a partnership of schools in Nottinghamshire, Nottingham, Leicester, Lincolnshire and Derbyshire, which includes primary and secondary schools, and also extends to Nottingham Trent University, Bishop Grosseteste University, University of Leicester and the Nottingham Roman Catholic Diocesan Education Service. Visit our website to access further information on our work and maybe how you as an individual, as a school, or even a group of schools, can take advantage of some of our services or work in collaboration with us to help all our young people realise their full potential.